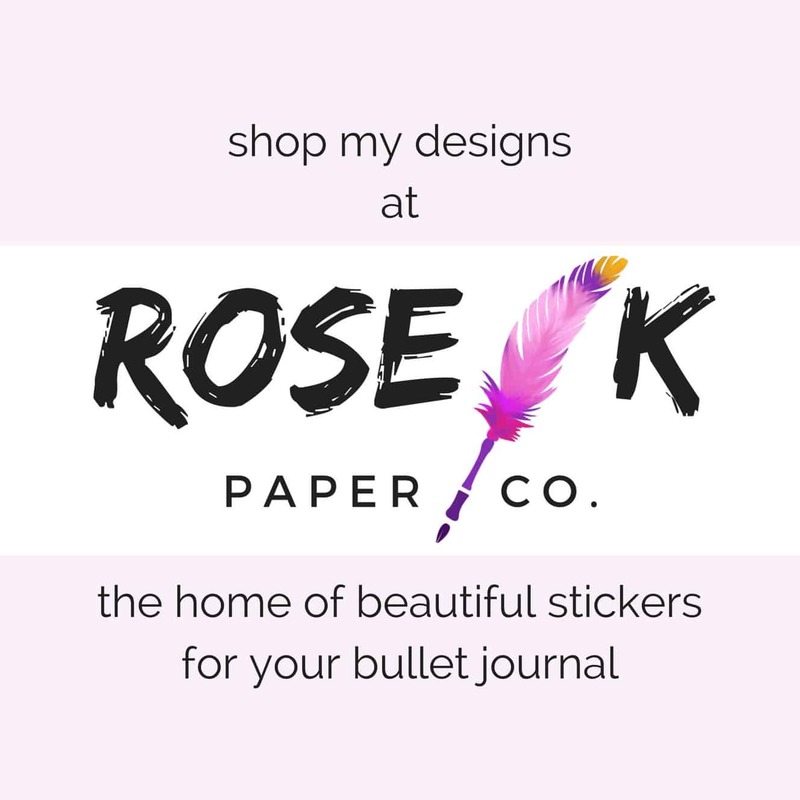 Minimalist bullet journal spreads are also great for beginners to bullet journaling. And they are GREAT for people with no artistic skills, as you can get away with not adding any artwork. 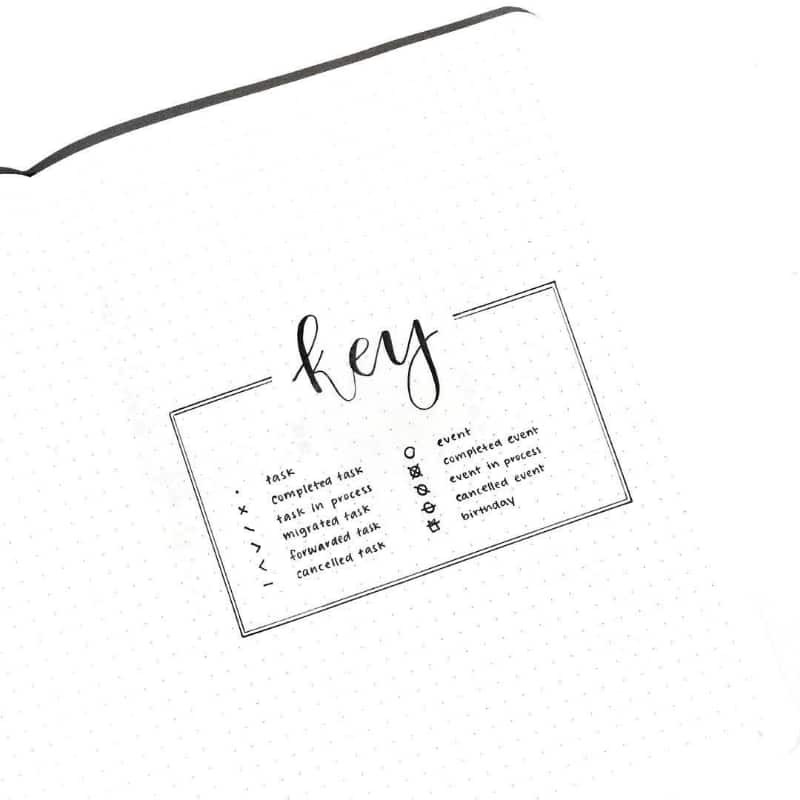 What Makes a Minimalist Bullet Journal Spread? The use of monochrome colours, so lots of black, white and greys. Occasionally colour will be used, but sparingly and usually only one colour, just to add a bit of interest. The use of clean lines and simple shapes, or line drawings. The use of lots of negative space (or blank space). 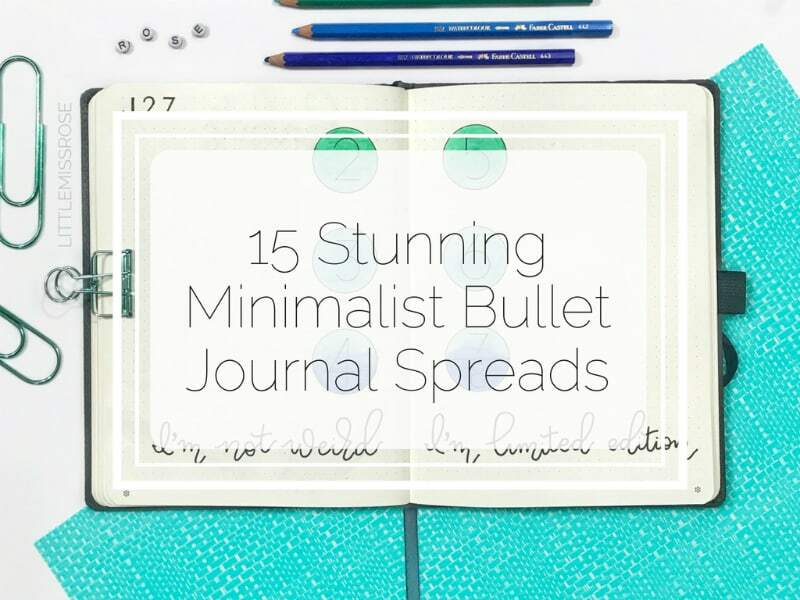 So with that, let’s have a look at some amazing minimalist bullet journal spreads! 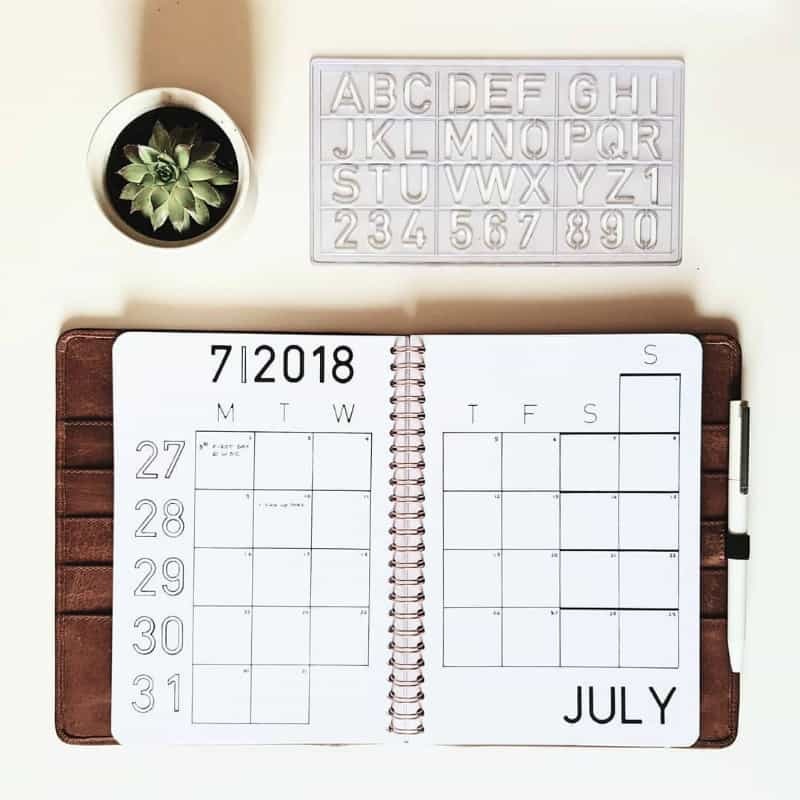 Hello pages in a planner or bullet journal are used to mark a new section within a journal, usually a new month or a new year. Here are a few examples of some great minimalist hello pages. For examples of hello pages that aren’t minimalist style check out this post. 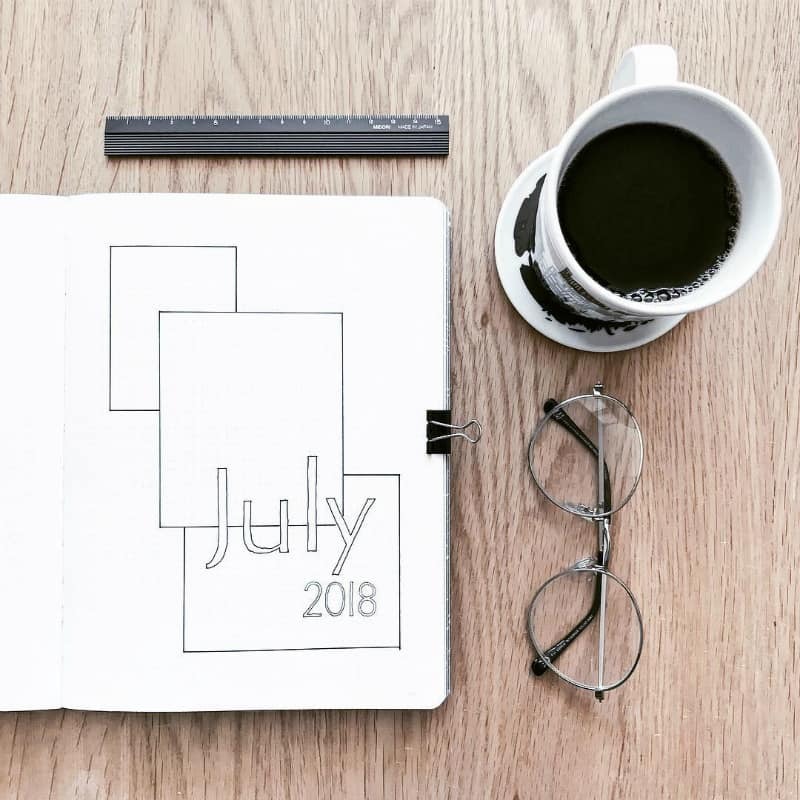 This beautiful July hello page by @tulipsandpages created by using a cutout and added to her bullet journal. 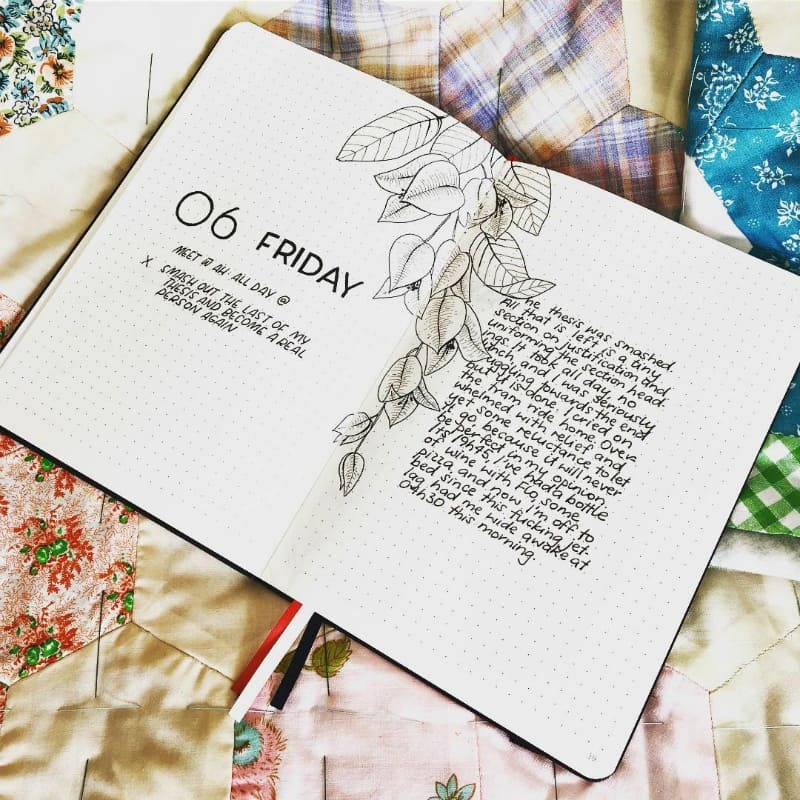 Check out her Instagram account for more great bullet journal spreads. This stunning minimalist hello page by @kareninks uses lots of negative space. Its simplicity is its beauty. For other great spreads have a look at Karen’s Instagram feed. Stina has an amazing minimalist bullet journal account on Instagram. This is her July hello page. Go stare at her amazing work at @supermassiveblackink. Monthly logs are used to help you organise your month! Funny that! But it’s here that you note down the month’s appointments and events and to note down what you want to achieve during the month. Here are some examples of some amazing minimal monthly logs. 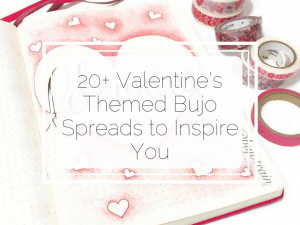 This beautifully simple spread has been created by Sija at @sijasbullets. Her feed is full of beautiful minimalist spreads that you need to check out! 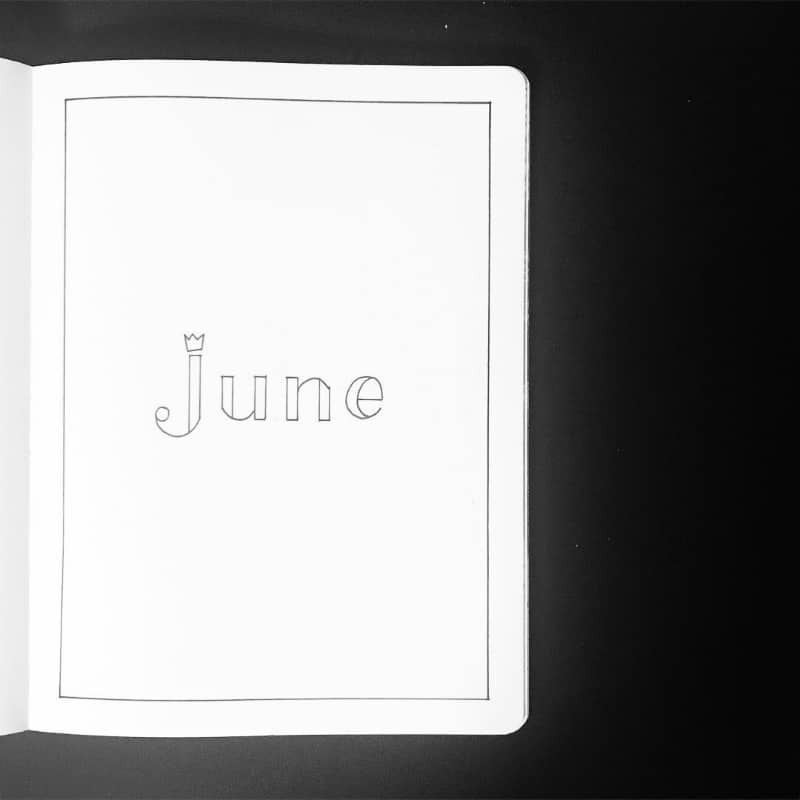 I love the clean lines and simplicity of this minimalist monthly log from @sweet_journaling. Her beautiful feed is full of more minimal spreads which you need to look at! 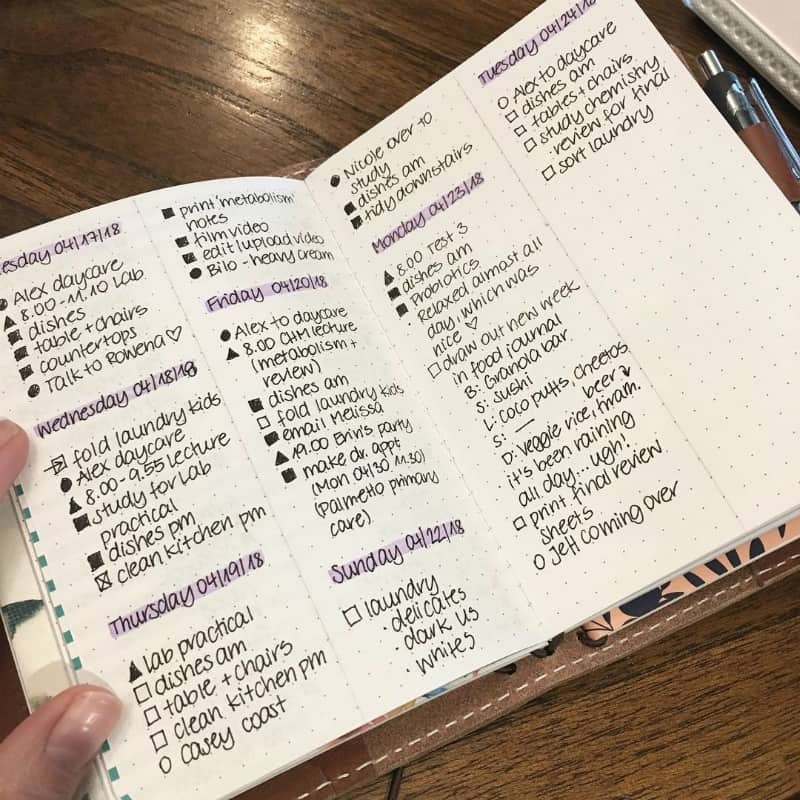 Although weekly logs (or spreads) are not originally part of the Bullet Journal system, these have grown popular as they add an extra layer to your planning. 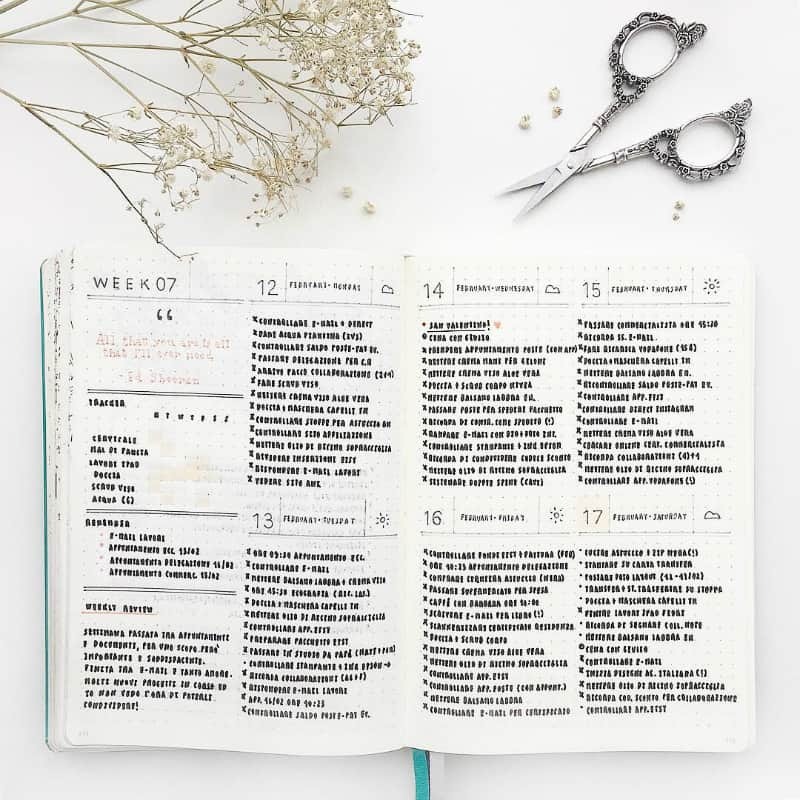 Bullet journal weekly logs give you a quick overview of your week and you can allocate your monthly tasks and goals to a smaller timeframe of a week. 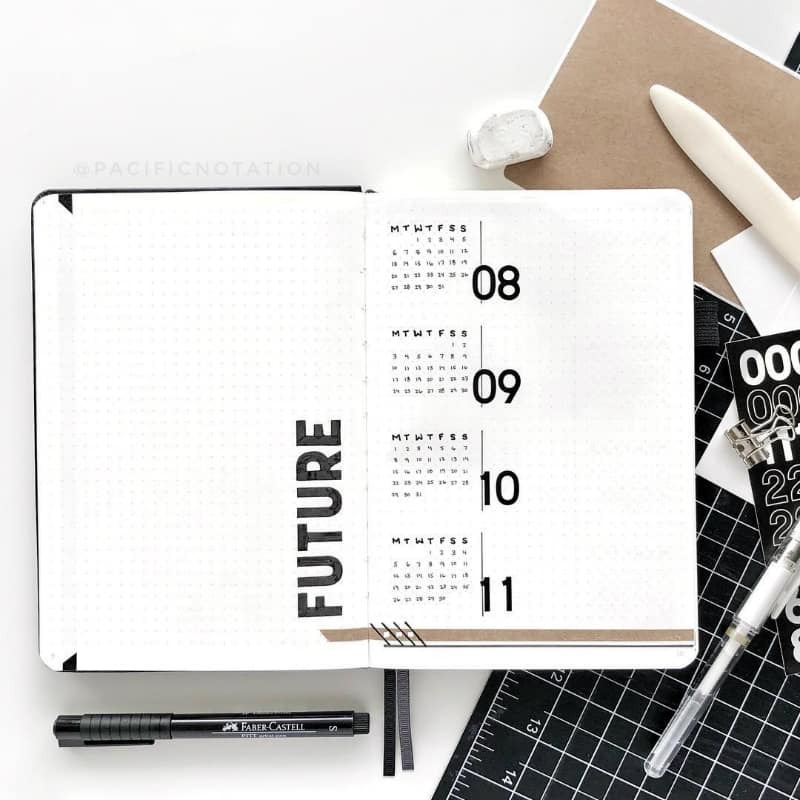 These minimalist bullet journal weekly logs should provide you with inspiration to create your own! Have a go at this super minimalistic spread by @nordic.notes on Instagram! It’s perfect if you don’t have a lot on during the week and great if you’re running out of pages in your bullet journal because you can two weeks on one double page spread! Minimal bullet journal spreads don’t actually have to be in black and white or monochrome, they can have a bit of colour in them. Like the following bullet journal weekly spread I’ve created in my journal. 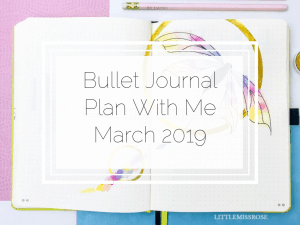 If you want to create a similar bullet journal weekly spread or others like it, read my blog post here! Here is another example of a minimalist bullet journal weekly spread that uses a touch of colour. Go have a look at @tangledblissbujo’s Instagram account for more great bullet journal inspiration. 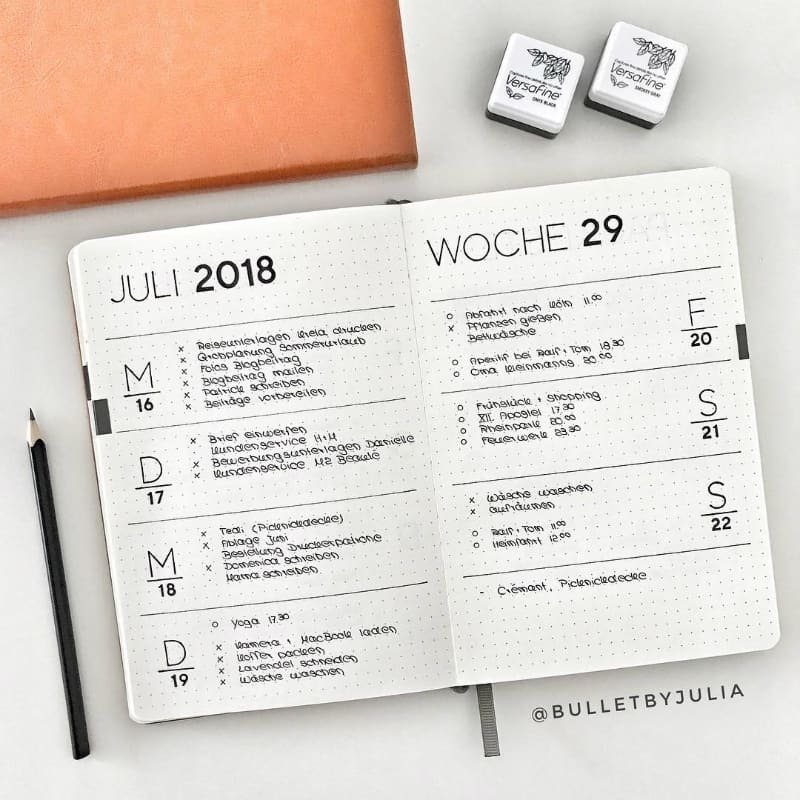 This example comes from one of my favourite bullet journal accounts @bulletbyjulia, for an incredibly beautiful Instagram feed to look at make sure you check out her account. 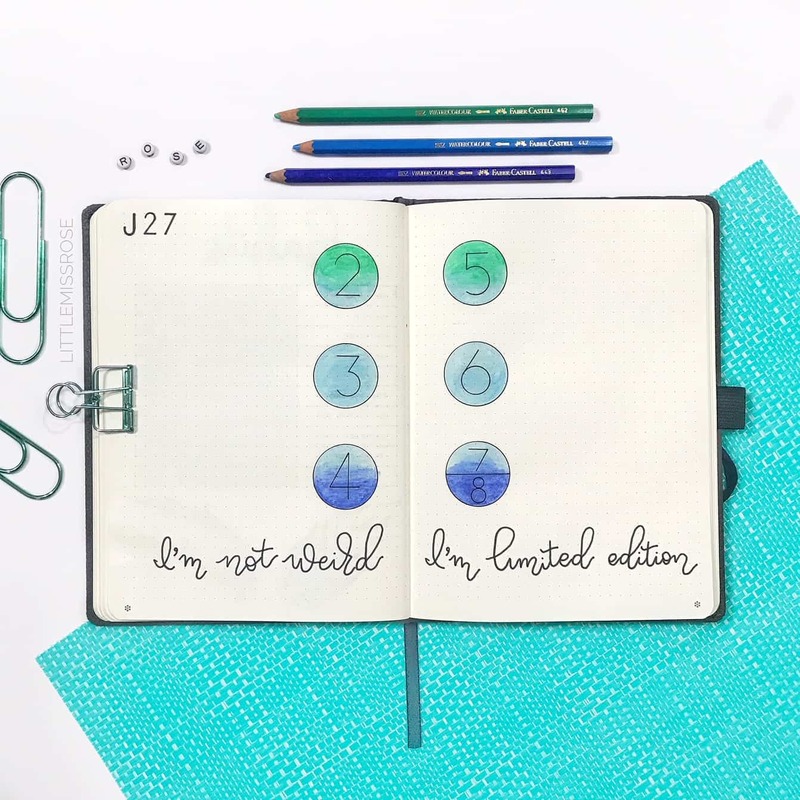 The Bullet Journal system centres around the daily log. This is where your rapid logging of tasks, events, notes and ideas take place. Bullet journal daily logs aren’t usually pre-prepared but created on the day. 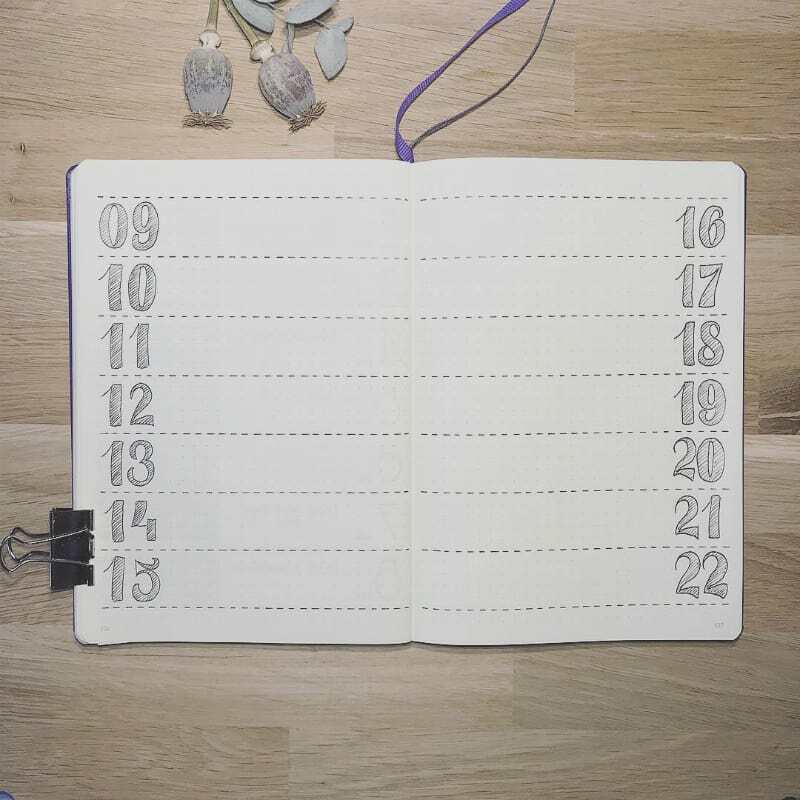 Have a look at these great examples of minimalist bullet journal daily logs. 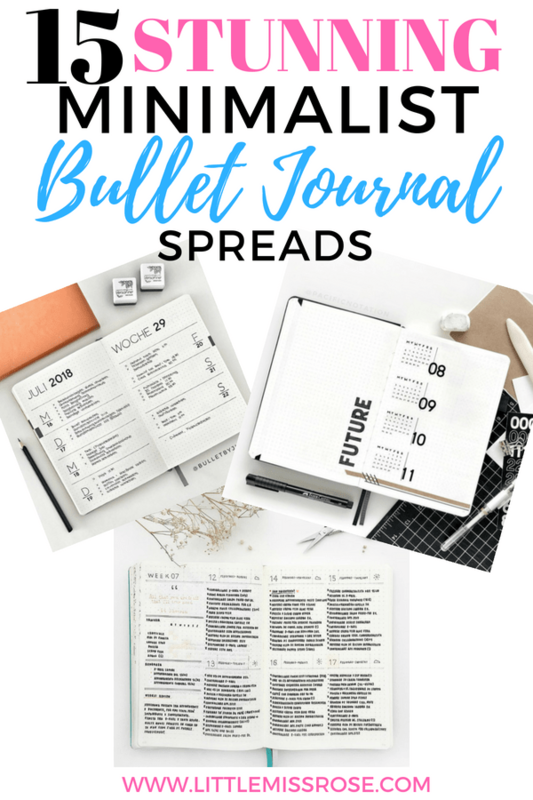 This simple bullet journal daily log by @plannerjules sticks to the traditional bullet journal system. 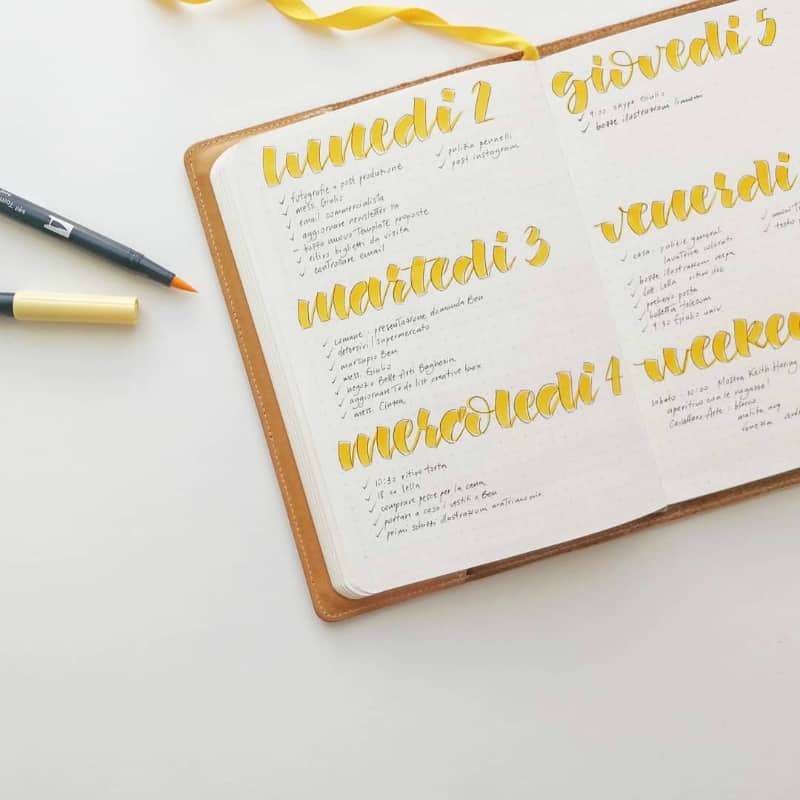 I love the simple use of highlighter to highlight the days of the week. If you’re new to bullet journaling this is definitely one spread to try out first! Another one of my favourite bullet journal accounts on Instagram belongs to @bullet_bec. Her take on the bullet journal daily log involves using only one page per day with the opposite page used to record the days memories. 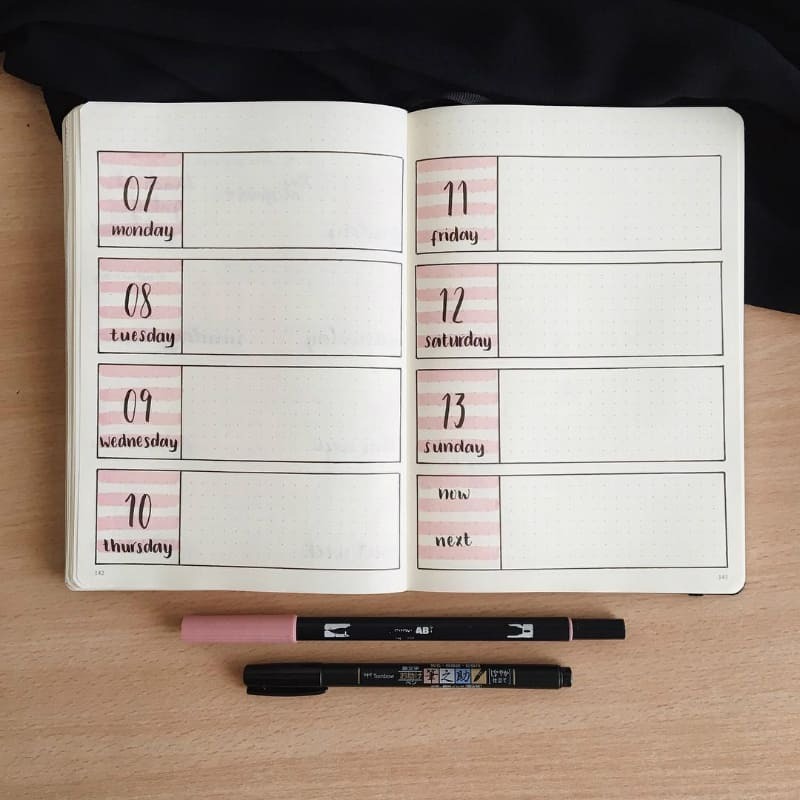 Check out her Instagram feed for some more great minimalist bullet journal spreads. A simple brush pen and some fantastic hand-lettering can make a page pop, even when the layout is super simple like @writeitonthewall‘s amazing minimalist bullet journal daily log. Check out Rita’s Instagram feed for other great bullet journal spreads! Some other examples of minimalist bullet journal spreads include the future log, such as this amazing one by Dan @pacificnotation. 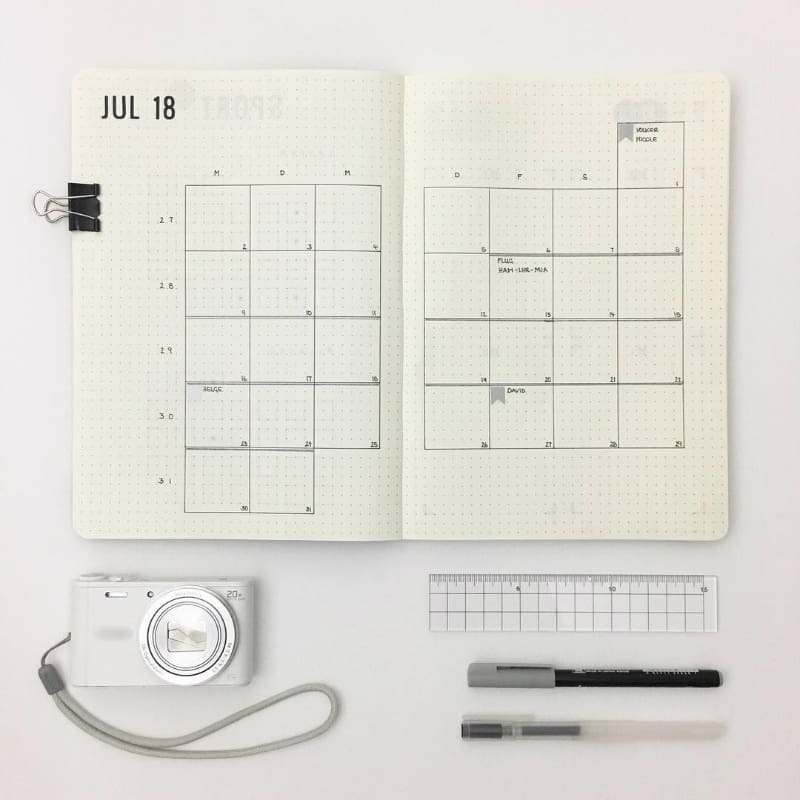 This is just one of the many stunning minimalist bullet journal spreads on his Instagram feed, you really need to follow him if you don’t already. 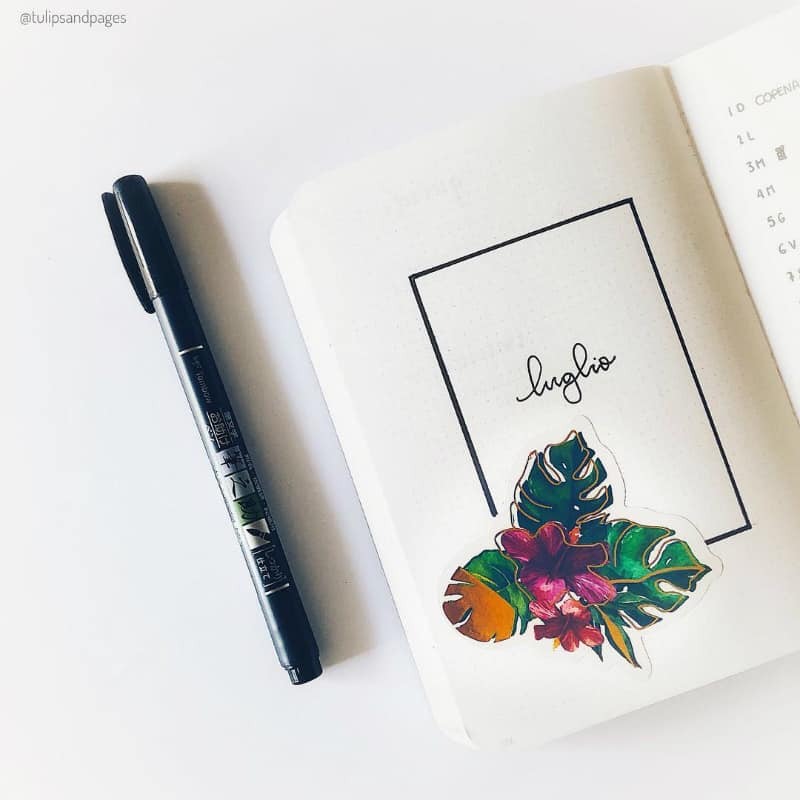 Simplicity is the key with this minimalist bullet journal key (haha – couldn’t resist that pun) created by @notetakingg on Instagram. 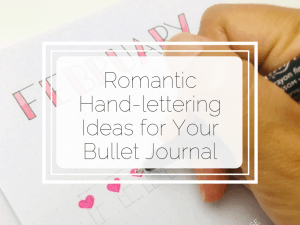 I hope you got some great ideas for minimal bullet journal spreads from this article. If you give any of the ideas above a go, I’d love to see them! Just send me an email or tag me on Instagram! One day I will go minimalist for my bujo…one day…just not today, lol. Haha – I love minimal spreads but I find it hard to restrain myself too!